Recently Viva Kuwait has launched the sub-model of Huawei E5577, the E5577cs-321. It comes with the latest firmware version 21.329.63.00.397 and WebUI 17.100.20.00.397. This firmware version routers can be unlocked easily by our unlocking app. There is no need to open the screws of the device and boot shot. Our team has modified the firmware of Viva Kuwait Huawei E5577cs-321 router. Once the default firmware updated with our modified device firmware, it will be unlocked successfully. This modified firmware of Huawei E5577cs-321 will work with firmware version 21.329.63.00.397 and lower only. 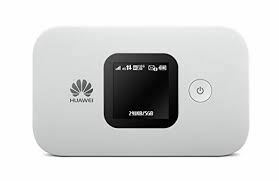 Viva (firmware 21.305.09.00.397) and Zain carriers of Kuwait is also providing Huawei E5373s-155 router, which can be unlocked by simlock code only. How to Unlock Viva Kuwait Huawei E5577cs-321 with Firmware 21.329.63.00.397? Download the Viva Kuwait Huawei E5577cs-321 unlocking app. Run it on your Windows computer. It will generate some hardware ID. Copy and keep it is a notepad file. Pay 10USD and mention the hardware ID, model, and the network of the device. Our team will forward the details with registration name and registration key. Now connect the Viva Kuwait locked Huawei E5577cs-321 with your computer. Open “My Computer >> Virtual CD-ROM and install on PC. If still problem, then reset the device and process again). Once the Viva page is successfully opened, install FC Huawei drivers. Run the Viva E5577cs-321 unlocking app. Fill the registration name and key. Click Register on the app. It will start flashing the firmware of Huawei E5577cs-321 Viva modem. Once successfully firmware flashed, run the DC-Unlocker software. You will see OK, below the result. Now your Viva Kuwait locked Huawei E5577cs-321 is successfully unlocked to use with any network provider router in the world. Note: For unlimited unlocking license of Viva Kuwait Huawei E5577cs-321, contact us.